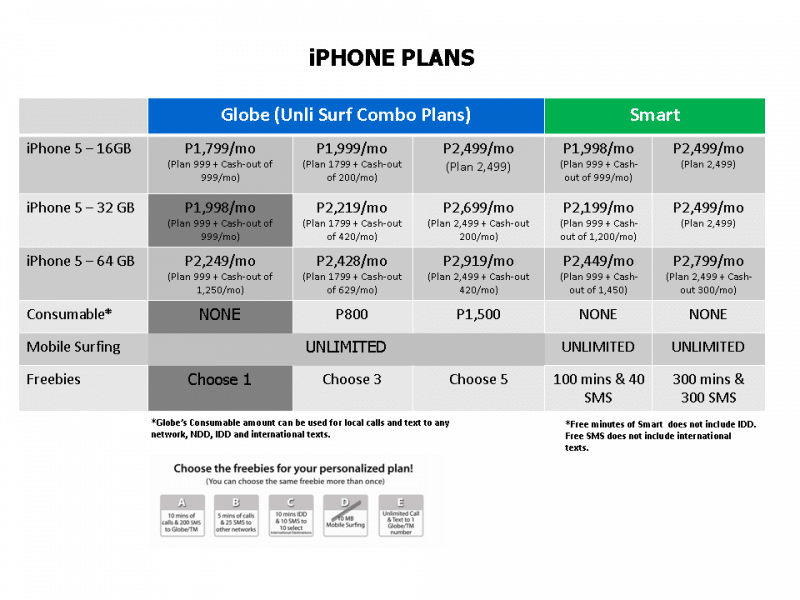 Globe VS Smart - The Great iPhone 5 Pricing War... Uncovered! - All Chucked Up! 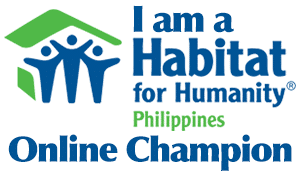 You are Here >> Home >> News >> Globe VS Smart – The Great iPhone 5 Pricing War… Uncovered! Smart is giving out the 32GB iPhone 5 for free at Plan 2499, which they claim is way cheaper than Globe who is offering the same model at Plan 1799 + Php 10,080.00. It may seem that way… and if you aren’t careful, you’d probably believe this to be the gospel truth. BUT WAIT! Is that claim actually “truthful”??? What isn’t stressed enough (and something YOU should consider heavily) is the fact that Globe’s cash out amount of Php 10,080.00 can be split up into 24 monthly payments at 0% interest! YES! 0% interest. 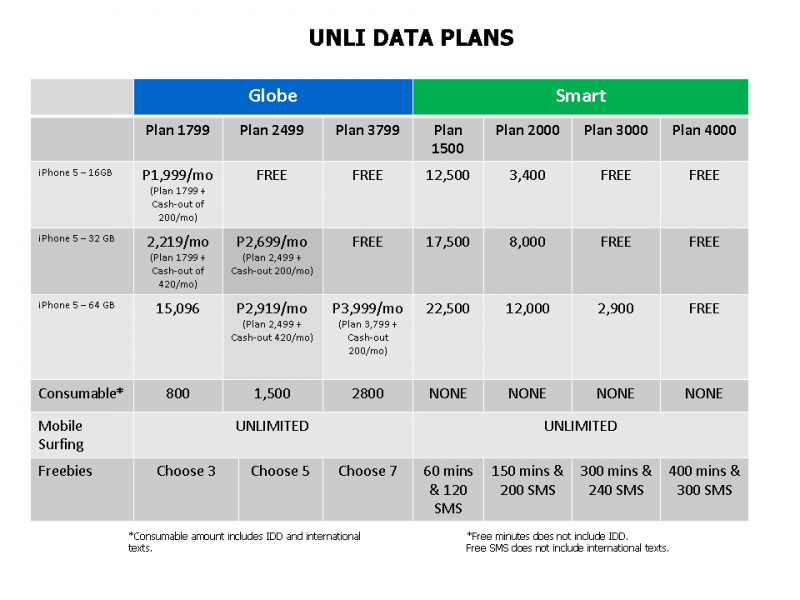 Add that Php 420.00 to Globe’s Plan 1799 and you get a total of Php 2,219.00/month ONLY! 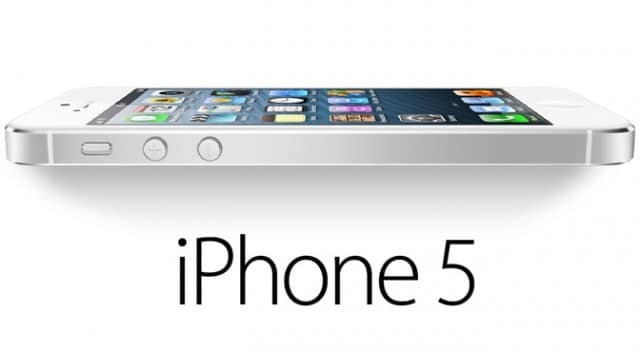 So, which telco is actually offering the 32GB iPhone 5 at a MORE AFFORDABLE cost? Smart’s 2,499.00 or Globe’s 2,219.00? Seems pretty obvious to me which iPhone 5 plan comes out cheaper. 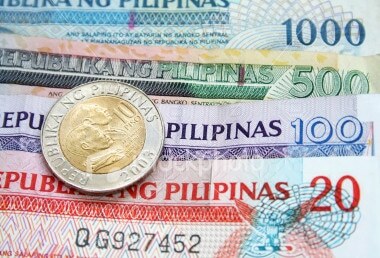 That’s a monthly difference of Php 280.00 right there! In the course of your 24-month plan, you’re actually saving Php 6,720.00 with Globe. 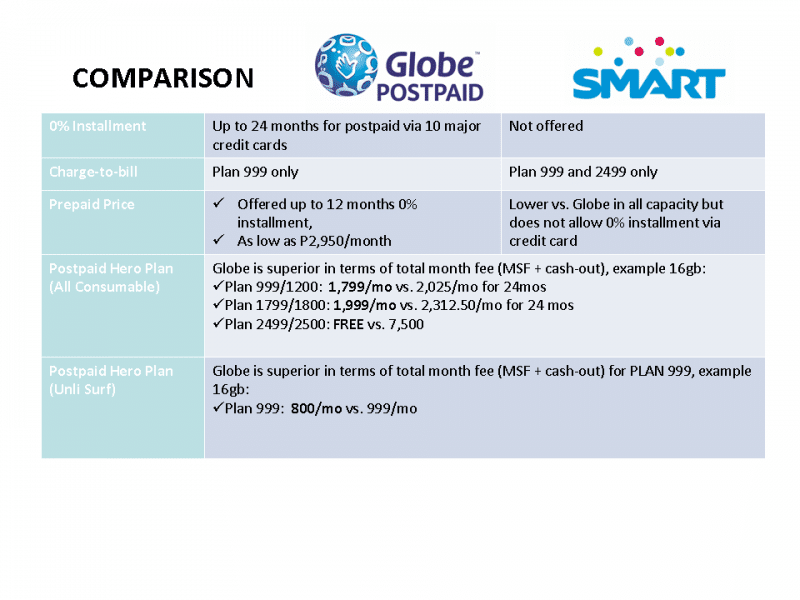 Upon checking Globe and Smart’s iPhone 5 plans side-by-side below, you’ll realize how much more affordable it is to go with Globe’s offerings. See?! Now you understand. Everything becomes clearer once you break it down and do the math, right? Forewarned is forearmed, as they say. So, before you reach deep into your pocket believing you’ve made the smart choice, I suggest you go through these additional comparison charts below and think again. When all is said and done, in the course of making the right and wrong choices, you have no one else to blame or commend but yourself. Have a Merry Christmas and a Happy New iPhone 5, folks! ‹ Memories and Milage › Salamat Sa Pagtangkilik! Pero walang 0% interest via credit card, unlike Globe. Smart actually offers ZERO interest as well on ALL cash-outs for Postpaid Plans. Including Prepaid offers. – Abbie, Smart Social Media. Thanks! I hope that you will state your name so that I can help you. :) Live More! hi abby, does smart offer 12 mos zero interest on the iphone 5? where can i avail it? I’m very VERY unhappy with globe customer service (been using globe for >10 years). They can’t explain my bill properly. I availed of the 24 months 0% interest for my SG note II early this year and it was hell getting a decent explanation. 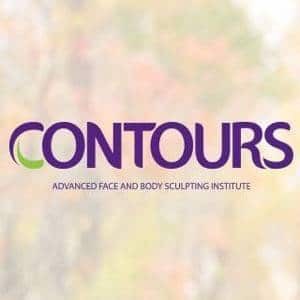 Came across this blog looking to switch to smart. In all fairness, HSPA speeds are area dependent. I live in Cebu City but only get Edge from Globe, and no signal inside my office despite the completed network upgrade and tons of CSR calls. (In response to gcst) How come people sharing their experience with one network becomes a ‘demolition’ job by the other network? Does that mean that people who say good things about Globe are part of Globe’s PR team? no it does not. Chuck even says in this site that he is not part of Globe but just shares his good experience with Globe. People who says good things about Globe are not Ayala’s minions nor are those who praise Smart MVP’s minions. I thought Globe has 4G already in Bora? Just go to Greenhills and ask which iPhone is more in demand, the traders will tell you it’s the Globe-locked iPhones. It takes them months to sell Smart-locked iPhones. So what does it prove? This may be a stupid question, but if you get the iPhone 5 for only prepaid, is it locked to the network from where you get it?